Somewhere in Maryland a $250,000 pony is padlocked in his stall, and a blind/lame horse has an uncertain future. In case you have not read about the litigation around the $250K hunter pony Spellbound and the two very disfunctional-sounding parties involved, the essence of the case is excerpted below. Plot thickens? The spoon is standing straight up! Basically a trainer is planning to send a pony to auction because the owner hasn't paid her bills, and the pony is padlocked in his stall. Meanwhile the same owners bought an unsound horse from this trainer for 100K because the vet report was not shared with them. There is so much shady stuff going on with both parties, it's... Well, read about it at Ratemyhorsepro.com news. There is a dark humor in the excerpt of this court document. 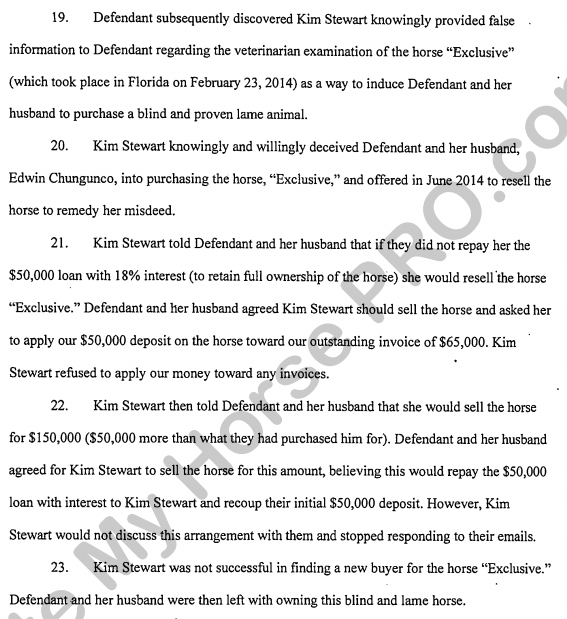 A trainer duped rich buyers into purchasing a horse that was blind and lame, and upon discovery of the deceit the buyer not only continues doing business with the trainer -- they conspire to sell the lame/blind horse for more than they paid!